A streetwise but rough edged Italian-American bouncer becomes the driver for a sophisticated African American classical pianist, resulting in an unlikely bond forming during a concert tour of America’s Deep South in the 1960s. Viggo Mortensen delivers a charismatic career best performance as Tony ‘Lip’, lending considerable subtlety and heart to what could easily have become merely a lazy Italian American working class stereotype. With slicked back jet black hair and a slight pot belly, Mortensen transforms himself physically for the role, perfectly embodying the character. More important than this however is the way in which Mortensen consistently succeeds in capturing the complex balance of hardened brashness and jovial nativity that defines Tony. Mortensen delivers a performance which simply cannot be faulted. He’s able to fully reveal Tony’s flaws, his mild racism or a propensity to solve problems with his fists, while simultaneously celebrating his appetite for life, devotion to his family and his essentially kind hearted nature. It’s impossible not to be ultimately fully won over by Mortensen’s magnetic charms. He makes Tony a deeply sympathetic and surprisingly layered character, leaving audiences utterly endeared to him in spite of first appearances. Linda Cardellini also helps considerably in this regard playing Tony’s wife. The pair have a genuine tenderness that goes a long way to softening some of Tony’s harder edges. Any educational ignorance or rudeness he might display feel immediately irrelevant in the light of this sincere love. Mahershala Ali is once again on award worthy form as the erudite but awkward Dr. Don Shirley. His well-spoken highly strung demeanour is a perfect contrast to Tony’s gregarious uncouth enthusiasm. This pleasingly mismatched pair are both fascinating characters in their own right and the evolving dynamic between them is a pleasure to behold. At a time when our racial and cultural differences are increasingly cynically considered to be an insurmountable divide, it’s refreshing to see such an emphatic example of how misguided that defeatist attitude is. Those that would seek to dismiss this story as mere Hollywood fantasy also have to contend with the fact that the film is based upon a real life events and an actual enduring friendship. Making it all the more uplifting and satisfying to see it celebrated in this way on screen. That optimistic mood is perfectly accompanied by lush cinematography and a great period soundtrack. The film takes audiences on a welcome wander through America during a specific period in modern history. It is thoughtful, fun and faithful to the best spirit of that era. It’s rare to have nothing bad to say about a film, but this is one of those glorious occasions. Even the harshest critics would be hard pressed to find any obvious cause for complaint. 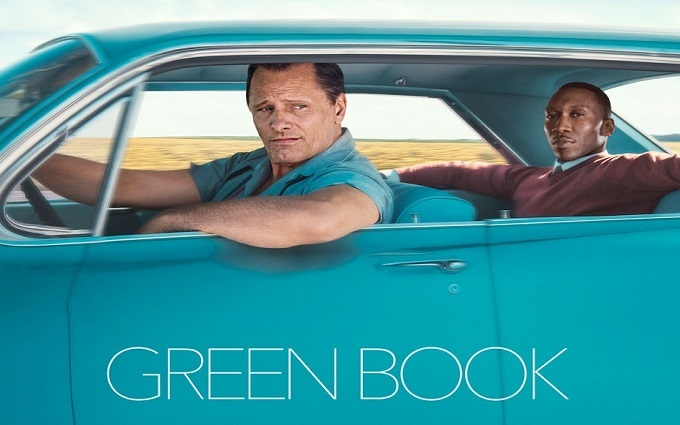 Green Book is a near flawless piece of well-crafted movie magic propelled by two outstanding performances. This real life tale of unlikely and inspiring friendship is a crowd pleasing delight guaranteed to help restore audiences’ faith in humanity.